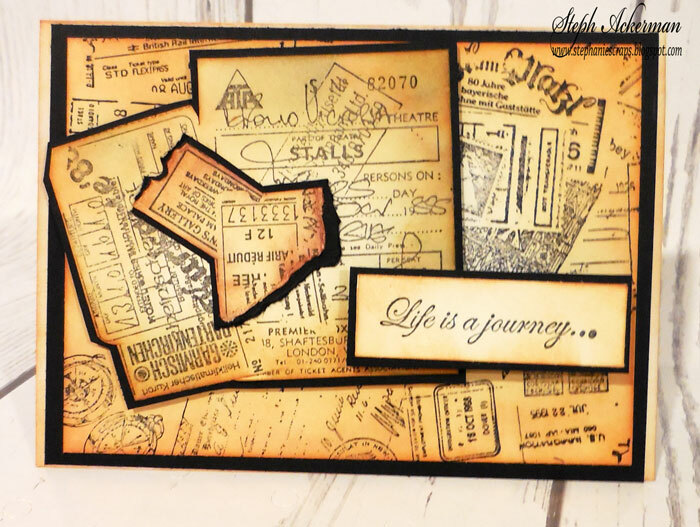 Hi everyone, it's time for a new challenge at Just For Fun Rubber Stamps and this month it's all about guys!!! 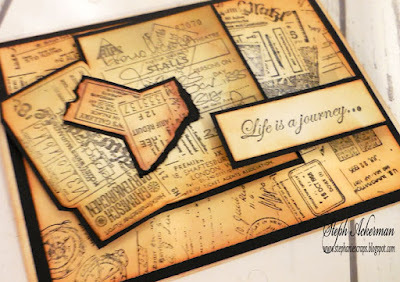 I'm using the Travel Background 2 stamp, stamping it 3 times on cream cardstock. 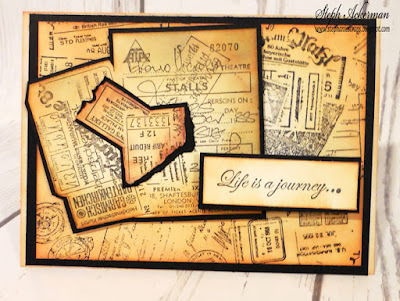 Each layer was inked with Rusty Hinge Distress Ink. I cut a 2nd layer to fit on the first then tore a 3rd layer to fit on the 2nd. Each layer was matted with black cardstock, then assembled back on the card. I've used the sentiment - Life is a journey..., adding it to the card with foam adhesives for dimension. Really great masculine card, I love teh borders around all the layers, such a great detail. Steph, what a neat masculine card! I love the old world look of it.